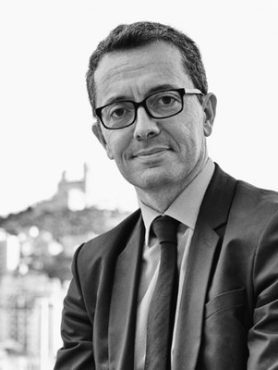 Jacques-Henri Eyraud has over 25 years of experience in the Media & Entertainment industry and is currently President of the Olympique de Marseille Football Club. He started his career with The Walt Disney Company as part of the opening team of Disneyland Paris where he rapidly became the youngest member of the Company’s executive committee as Vice President for Corporate Communications and Company’s Spokesperson. After getting his MBA from Harvard Business School, he became an entrepreneur and created the sports media venture Sporever in 2000. Sporever became a leader in digital media and was the first European start-up to broadcast sporting events including soccer games live on 3G mobile networks. He also became a pioneer in the acquisition and sale of new digital sports’ rights. He took the Sporever public in 2005 on the Paris Stock Exchange. He later became CEO of Turf Editions (one of the world’s top 3 specialized media dedicated to horse racing) which he diversified around new revenue streams. A graduate from Sciences Po Paris, he also holds a Master’s degree from the University of Paris Dauphine in New Media Management. A former French national TAEKWONDO team member, Jacques-Henri is a marathon runner and an avid sportsman.